The details of final 4 speakers serve as the last announcement, following the first 4 speakers. This time, we introduce Mr. Fujii. He drives at full speed, thinking ahead. Originally from Hiroshima prefecture, Tomoyasu Fujii came to know of electric-powered cars through learning about environmental issues after working at a company in Hiroshima City in 1993. A fan of the design work of Giorgetto Guigiaro, as well as the motion picture “Back to the Future”, he fell in love with the DeLorean. He thought if he were to make EV, it’d be better to make a cool one. 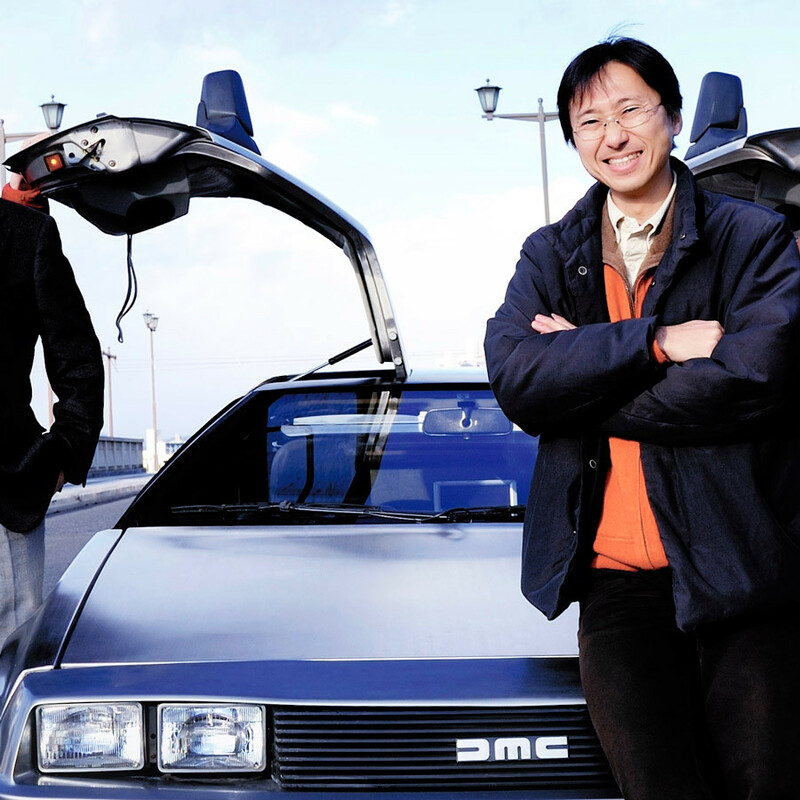 He then set off on a venture to convert the iconic vehicle into an electronic car in 2007. After receiving a base grade out-of-service DeLorean from a car accident, he continued his work with his friends for the promotion of EV in order to reduce CO2 emissions and suggest the importance of nondisposable culture. Finally, he successfully completed the electronic conversion of the vehicle with his friends on March 11, 2009. Continuing to make refinements even after the vehicle’s initial completion, he has installed a fast charge upgrade to his DeLorean in July 2016. He will continue his activities under the theme of the promotion of renewable energy from now on. Everybody must have something which has influenced them when they were young. Your dream or romanticized idea has been confined in a drawer at your heart. Drawing an idea from his experience may become a cue to open the drawer.